Got one done so here it is. 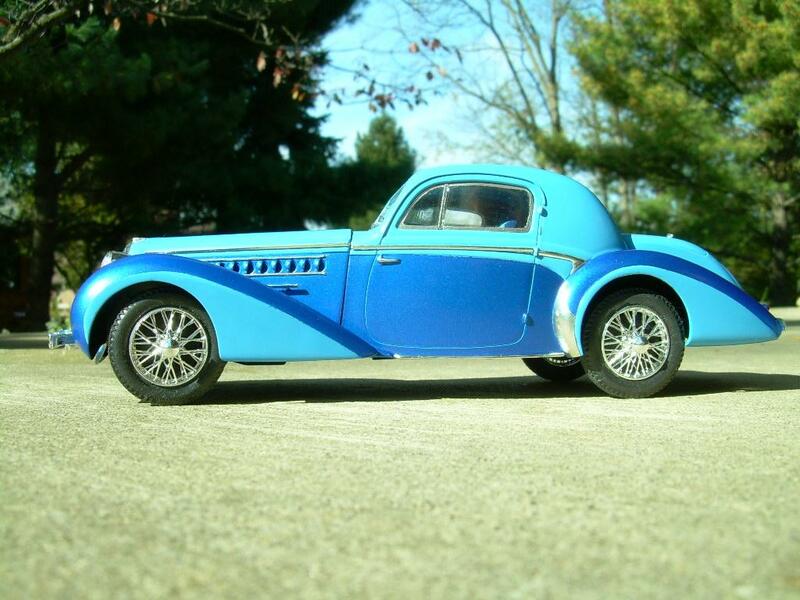 This is the Heller 1/24th Delahaye. 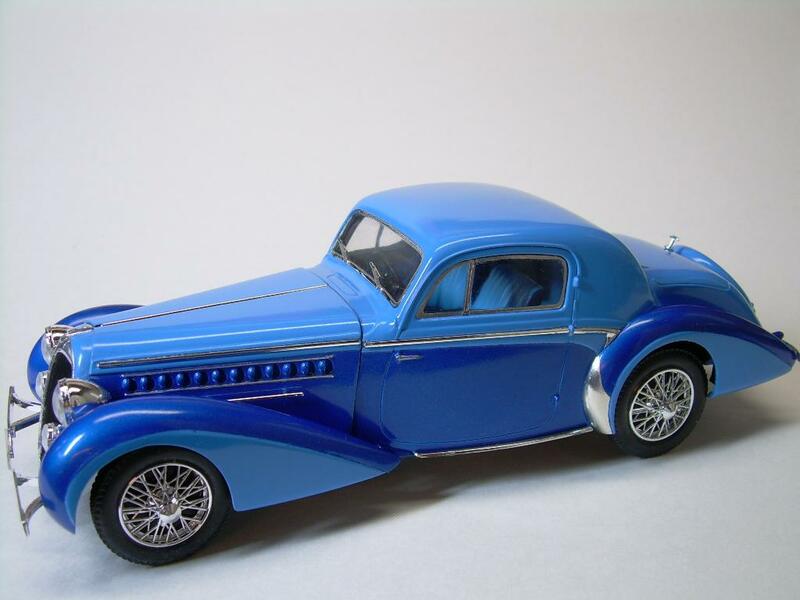 Delahaye was a French car manufacturer probably the most affected by the Art Deco movement in the 30’s. 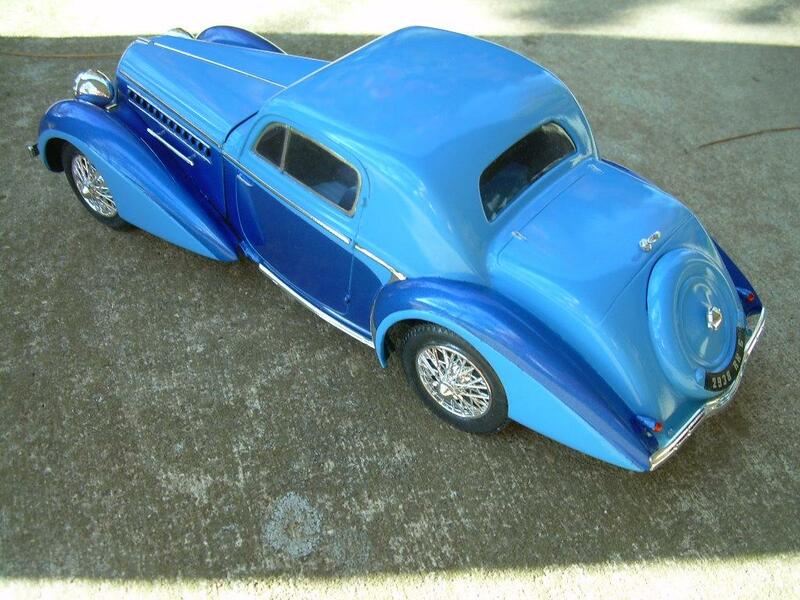 This is an example of their more restrained coachwork. WIP shots can be seen in the Automotive Group. Very involved kit but not too complicated if you follow the instructions-RELIGOUSLY. The front end steers per the kit. The fenders required building up from three pieces each before attaching to the body or the frame in the front. 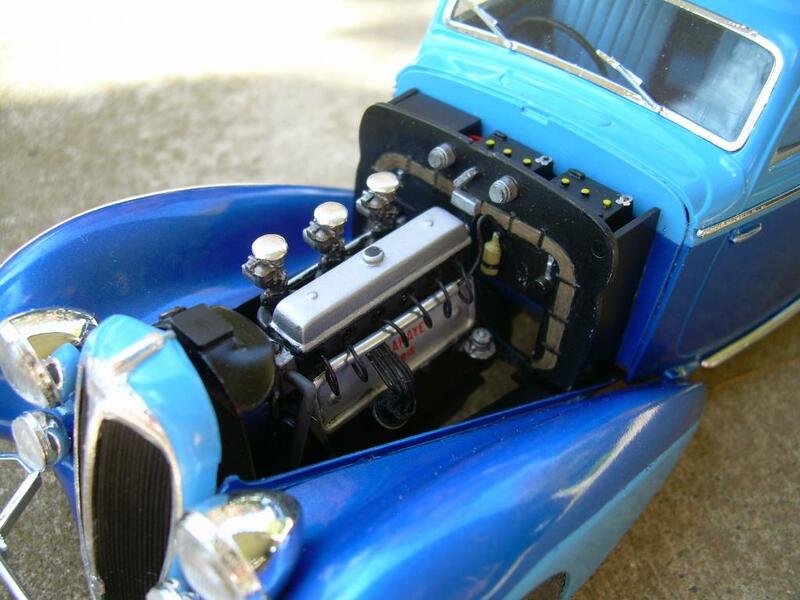 The only non-kit parts added is the wiring for the plugs & batteries (2- six volt). 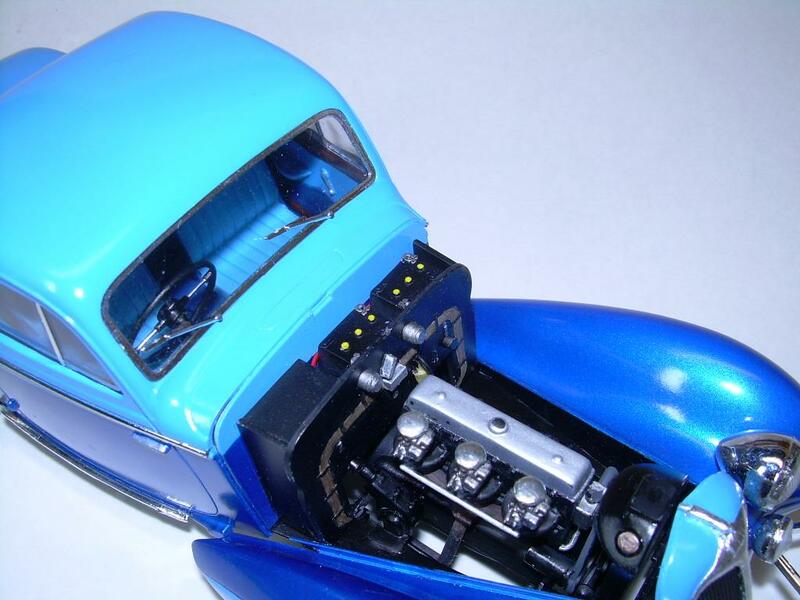 The 2-tone finish was applied using Tamiya rattle cans. It has not been rubbed out. Chrome is a combination of kit chrome & Bare Metal Foil. Paint separation was masked with Tamiya tape. Probably posted too many pictures but they were shot both indoors & outdoors, with & without flash. The sun & the flash seemed to wash out the colors. I was trying to get some shots of the interior without much luck. It is fully enclosed. The colors match the outside scheme. I have a much greater appreciation of Heller’s kits now than before building this kit. 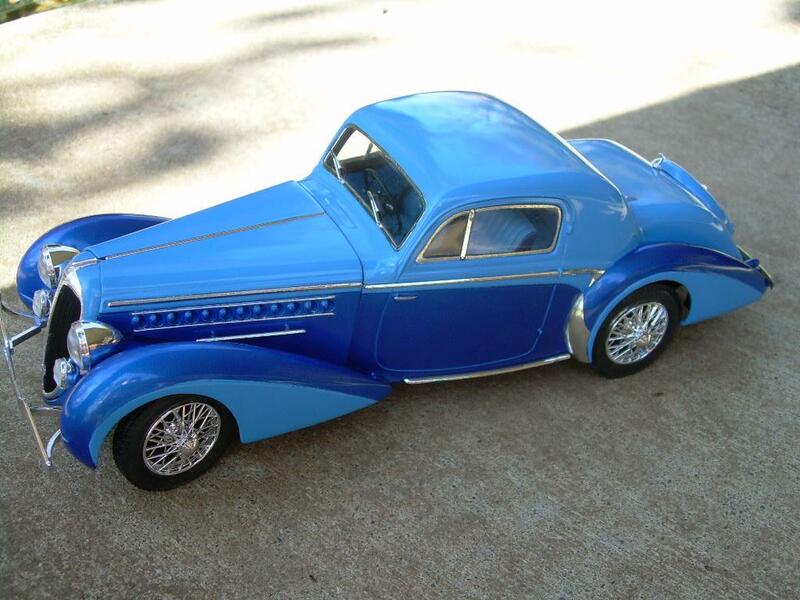 If you want to see more examples of Delahayes designs just google “Delahaye” & hold on. I think you’ve captured the grace and elegance of the original beautifully, Al, and, your finish and detailing are done to a really high standard, really excellent. Thanks George. I couldn’t resist the lines on this car. It had to be built. Absolutely STUNNING!!!! Well done Al !!! Thanks Morne. No weathering on this one. What a beautiful model, and subject; the finish is flawless. Great work, Al. I appreciate your positive comments Mike. Beautiful workmanship, Al…..excellent photos – I love it! Thanks Craig. Gotta love those Tamiya rattle cans. Now that’s a Car! Wonderful modeling Al. I love this color scheme the best. I have yet to master the bare metal foil technique. 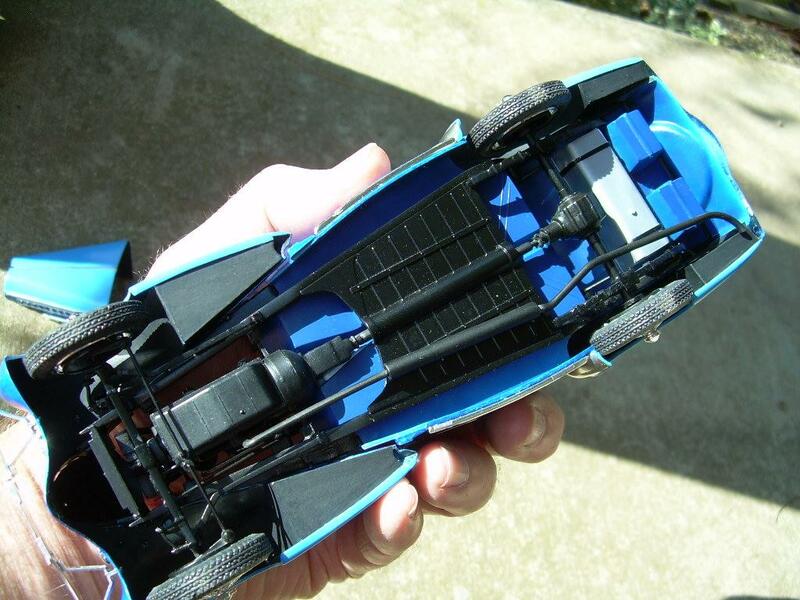 And also great detail in the engine compartment. 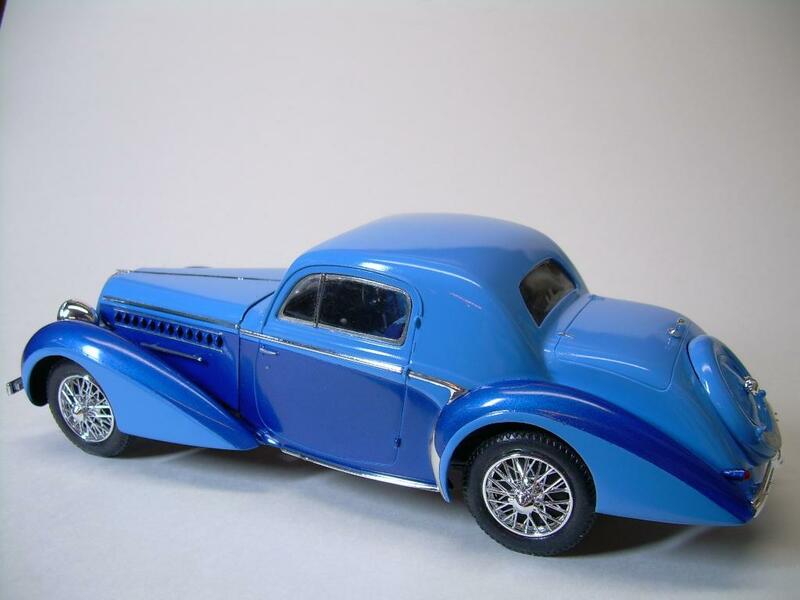 You need to make a small blue and gold ribbon and lay it on the hood like they do in Pebble Beach. Thanks C.A. I will admit the need to get my morning coffee out of my system before using BMF. Figuring out how to do the wiring into the aluminum tube & then to the plugs was probably the single most time consuming part. 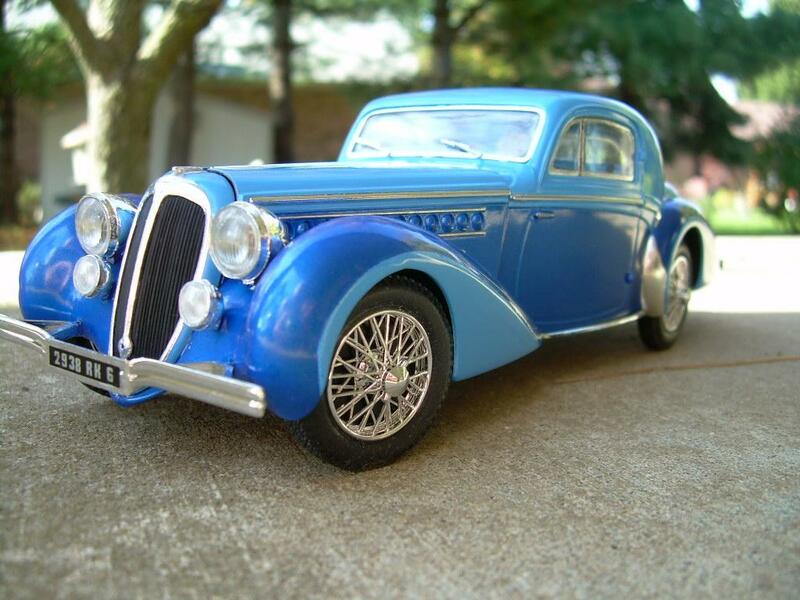 Very nice looking car – both in how you built it and the design of the car itself. Would you say that the outdoor shot without flash is the closest match to the real colours? Thanks for posting them Al. Alan, the outdoor shots w/o the flash & in the shade are the closest. Congratulations to this perfect and flawless build, Al.The presentation is great as well. 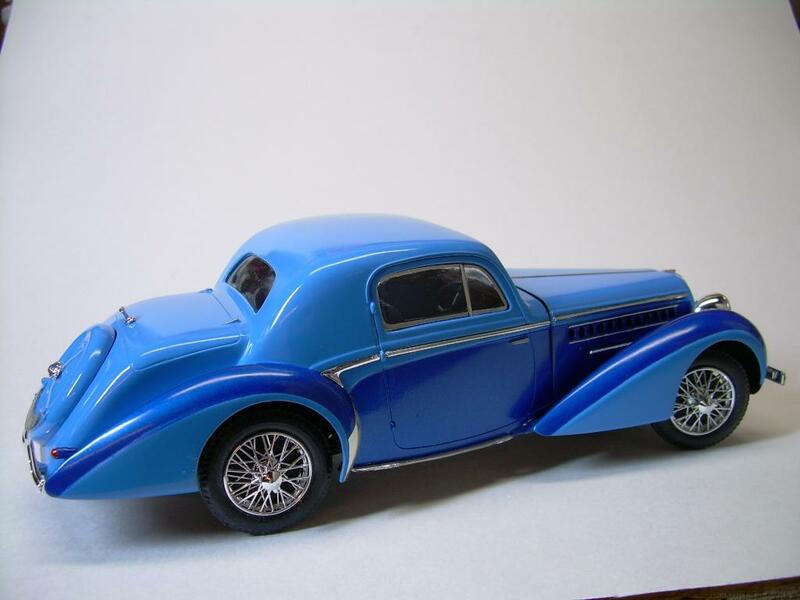 This is a very tasty example, my interest in car modelling has risen, since i found iModeler. It seems that Heller has some very nice kits in their katalogue. Thank you for your comments Bernd. 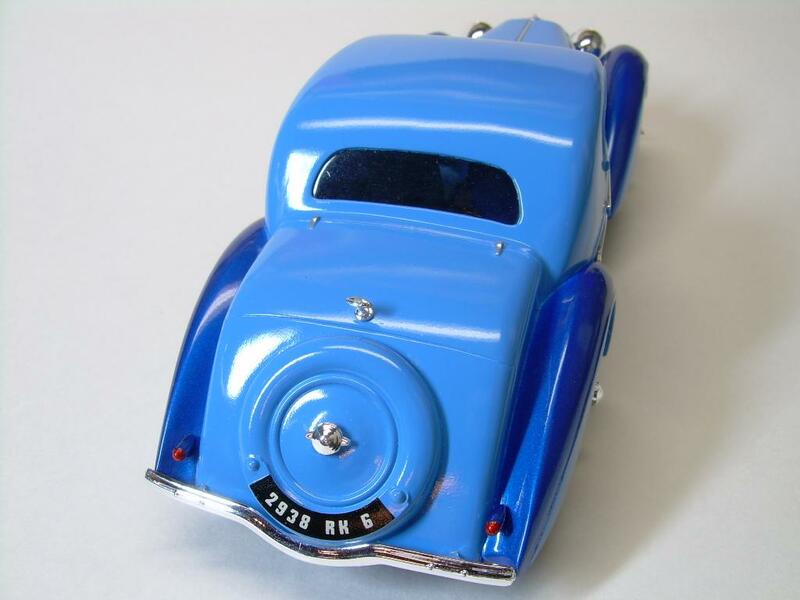 If you try a Heller kit there is a Blower Bentley Le Mans car from the 20’s, I think, currently out & quite a few older issues that are still available on the secondary market. Thanks for the Tip Al, i am currently watching an “Bentley offer” on Evilbay. 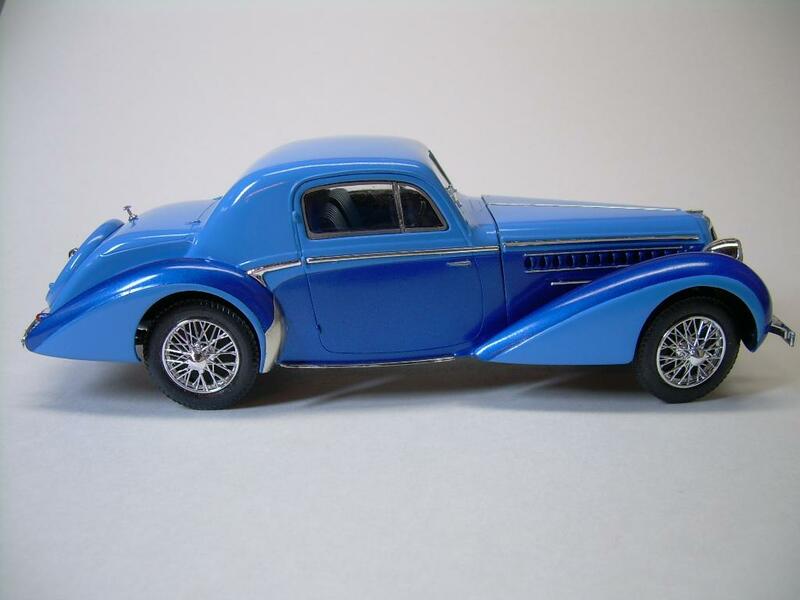 The Bentley Blower is a very favorite on, got a RoG Trabant in the stash, it looks very good in the box and will be a very good starting point. Brilliant job Al. I enjoyed watching this one build up. 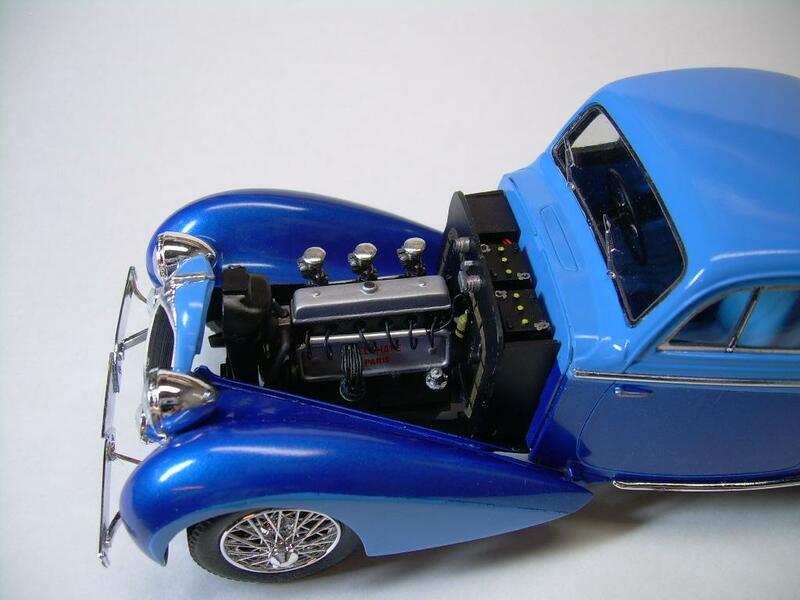 I’m seriously considering building an auto kit now 🙂 – inspiring work, well done. Thanks Gregor. I think you have pulled ahead of me in the Group build but we are both still plugging away. 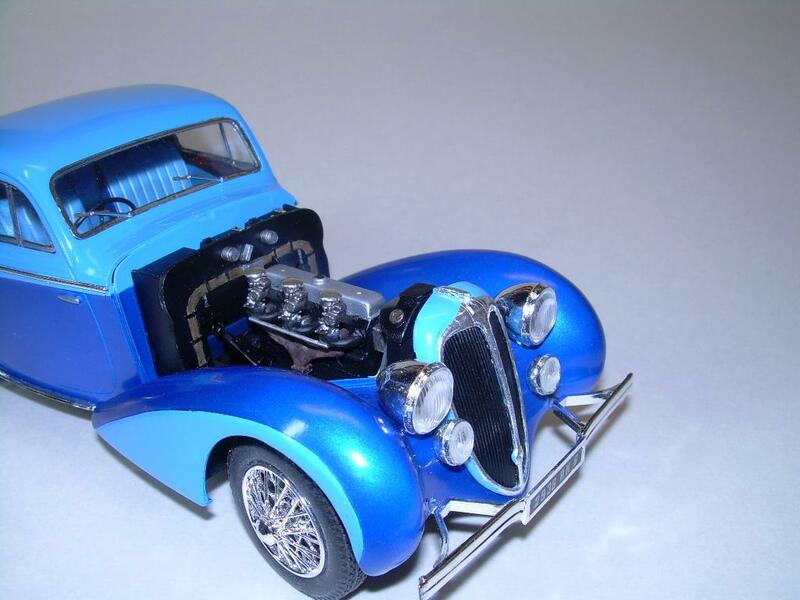 There are a lot of automotive kits to choose from. Try one! 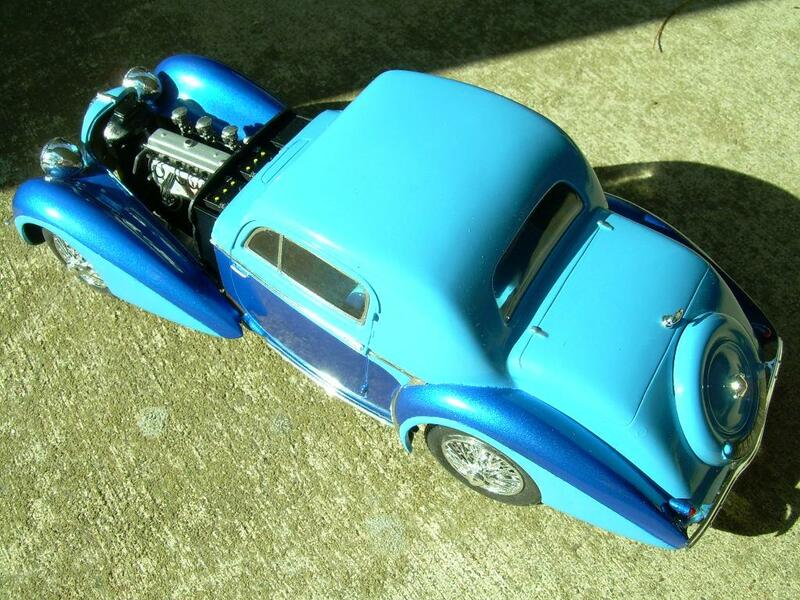 Great work Al, a wonderful build and finish too. Thanks Simon. Good kit to start with. Nice job, Al. 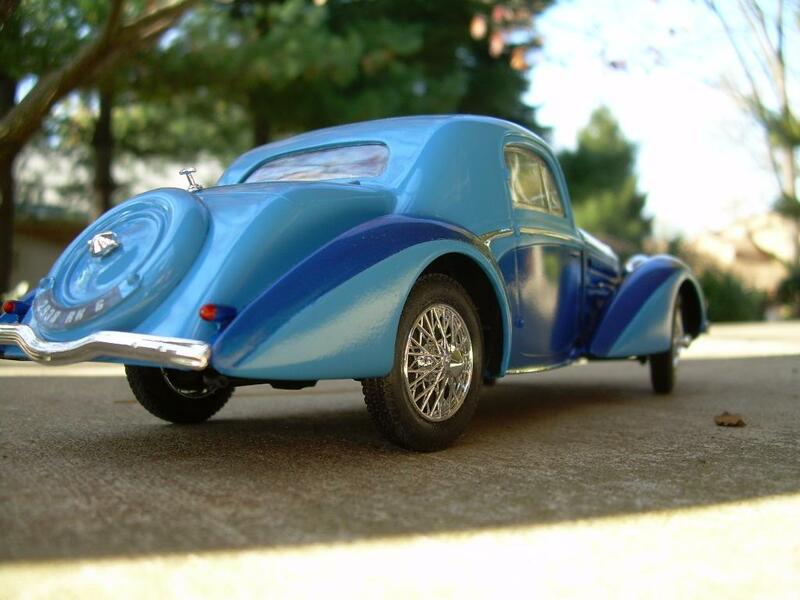 Very nice paint and detailing. Thanks for sharing! Thanks for looking Bryan. Appreciate the comment. Thanks Ralph. If you have an extra million laying around you might get one in need of restoration. Nice motor! The colours are striking, great choice. The engine detail is rather impressive also and some great photography to match! I’ve been inspired recently with some great car builds, I’m having a crack at one myself! Thanks for the kind words Richard. Are you ready to say what your working on? I am indeed! It’s a Mclaren F1 gtr short tail. The 1995 Le Mans winner! I have to say that I was inspired by George’s Mclaren at the start of the month. I went online just for a quick look…. Ended up buying all the photo etch and resin extras as well! Beautiful job, Al. Always a pleasure to see your work. Many thanks Joe. Good to hear from you. Wow! 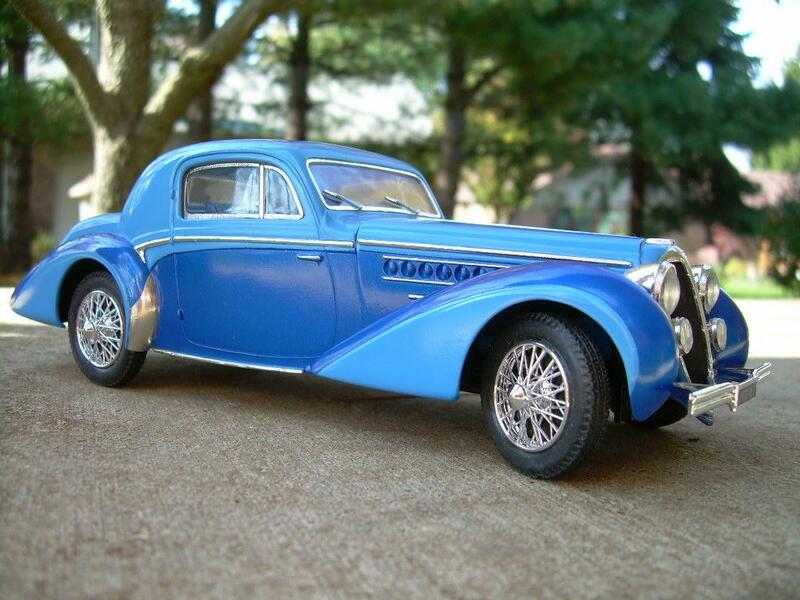 I’ve seen pictures of other Delahaye’s online but didn’t know there was a model of one out there! Yours is stunning! Nicely done! Late to the party so there is not much I can say that has not already been said. I will just say that this is fantastic.